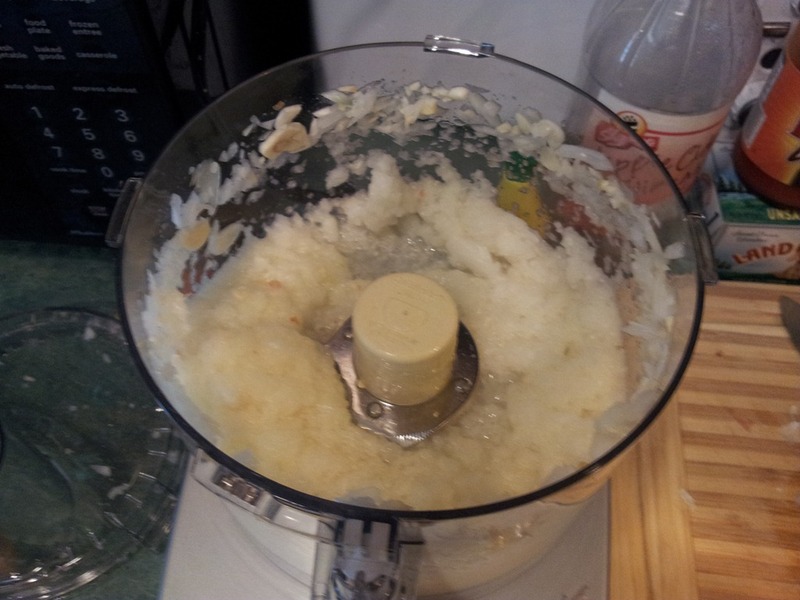 Step 1: Here I’ve minced the garlic & onion until they were basically a paste. I ended up straining this mixture as there seemed to be a lot of liquid left over. Since I was going to be sautéing this mixture I didn’t want it too wet. 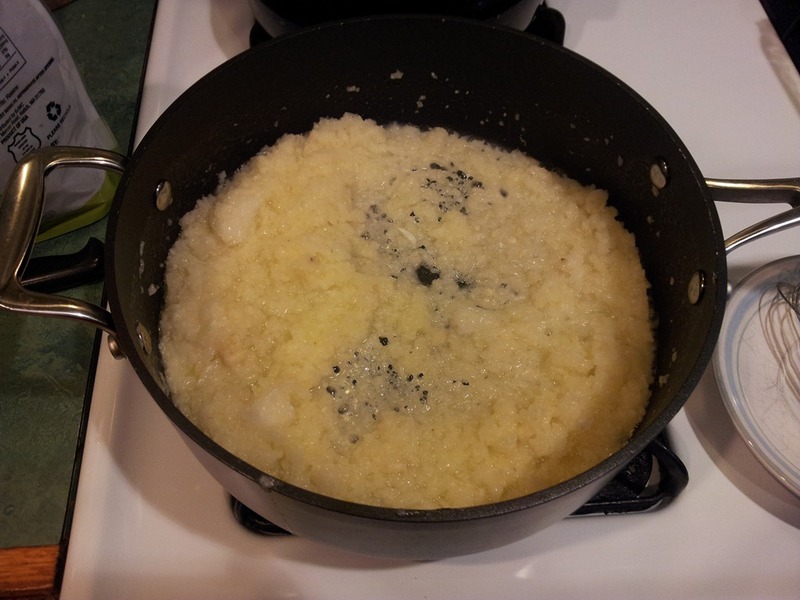 Step 2: In this shot, I’ve melted the butter and have begun to cook the onion mixture. It took about 4 minutes. I cooked it until it was just starting to turn opaque; stirring occasionally. Step 3: Next I added in the white wine and cooked until half of the liquid evaporated out of the mixture. This took about five minutes at a good rate of simmer. Step 5: One the mixture has cooled whisk in the remaining ingredients. 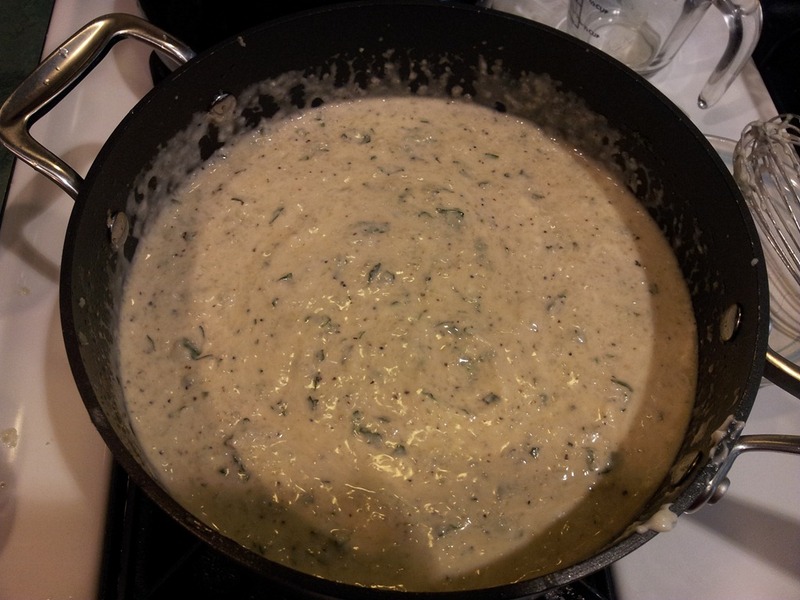 My sauce had the consistency of lumpy ranch dressing. But man, did it taste better than any ranch dressing I’ve ever had. 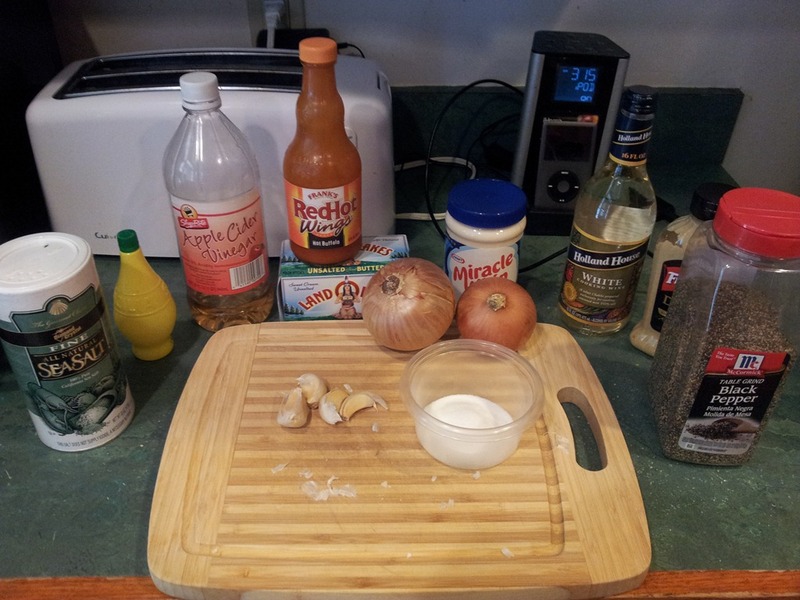 You could probably use this as a dip for other things besides a sauce for grilled chicken. Step 6: Cover and refrigerator for about 1 hour before serving. If grilling chicken, brush on the White BBQ sauce onto the pieces about 10 – 15 minutes before they are due to be pulled from the grill. 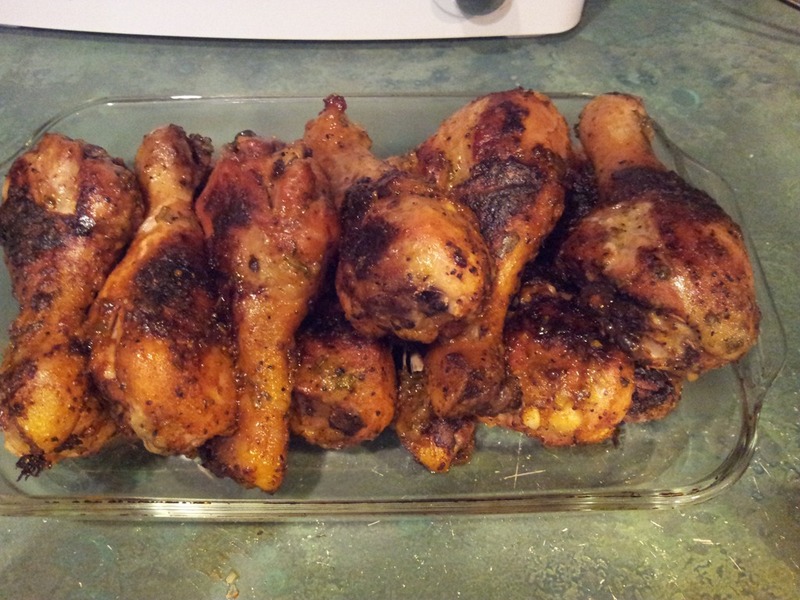 I’ve included a shot of what the chicken will look like after cooking with the sauce in the pic below. Try it and let me know how it comes out.